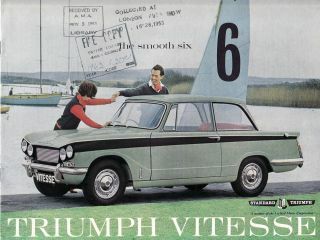 This site contains some detailed technical issues of this specific Vitesse. 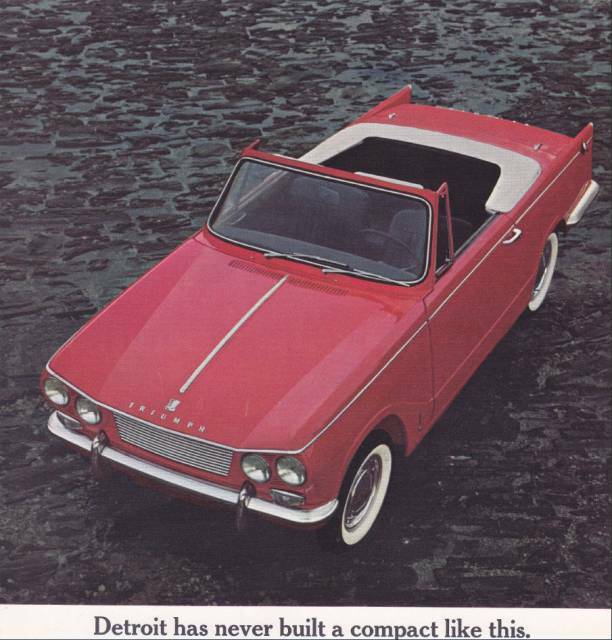 Technical information of the Triumph Vitesse in general can be found in our workshop manuals, and the below is just information what kind of lubrication, spark plugs etc. 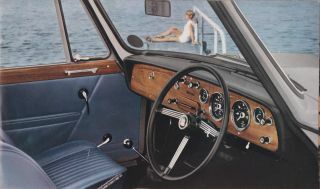 I've chosen based upon information achieved from various message boards, private communication and - of course - using the owner’s handbook as well as the workshop manuals. 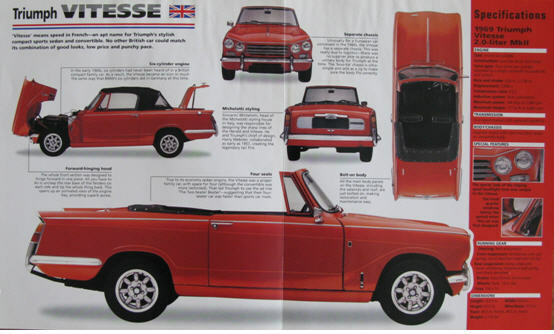 An overview of all serial numbers. can be found here. 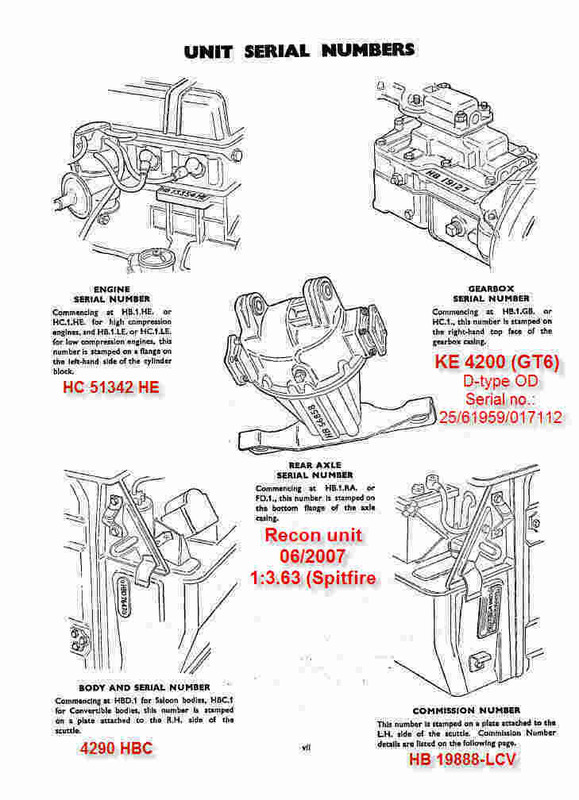 Replace seals from the differential to the rear axle shaft (LH and RH), from the diff. to the propellor shaft and from the OD to the propellor shaft, see drawing and which seals here. 07.05.2007: Dismanteled the leaf spring over the rear axle. Made 4 spacers to compensate for the room between the spring and the attaching bolts. Assembled the spring and attachements and controlled that the spacers were correct and the spring had no extra movment. Was done to prevent any rust on a later stage. 30.07.2007 Change the differential unit with a new recon. one from James Paddock. The front bearing broke probably due to erroneous assemply of the unit from the workshop that replaced the seals. The nut in front of the differential was pretty loose when inspecting the old unit. Feb. 2008 Oiling front trunions, grease rear wheel bearings - parking brake and steering unit, Change engine oil at 19.000 km, check oil level in diff. 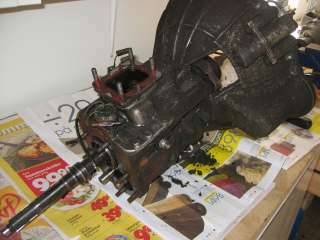 and gear box. Oiling front trunions, grease rear wheel bearings - parking brake and steering unit, Change engine oil at 25.900 km, check oil level in diff. and gear box. Adjusting front and rear wheels. Especiall the front wheels required proffesional adjustment due to the tube end bush change. 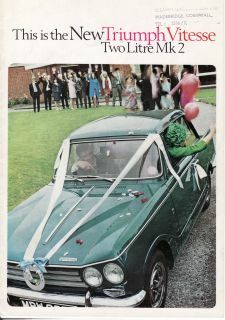 April 2010 MOT'ed -flew through :-). Change engine oil and filter at km 29518, tighten right fron wheel bearing, Oiling front trunions, grease rear wheel bearings - parking brake and steering unit, check oil level in gear box - top up! 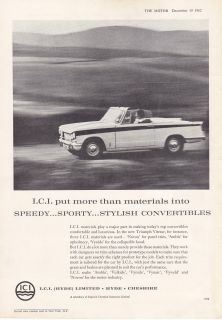 Click on the picture and the entire brochure will appear. 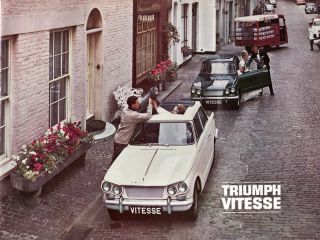 I've observed that Triumph uses women to promote the Vitesse in the above sales brochures. 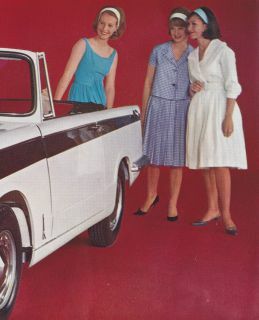 These pretty women back from the sixties have been scanned and below is the collection of them all. Click on the picture and the pictures will appear as a *.pdf-file. 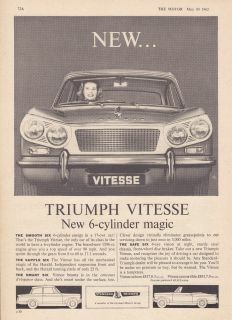 Below are some periodical ads of the Vitesse - the newest first. 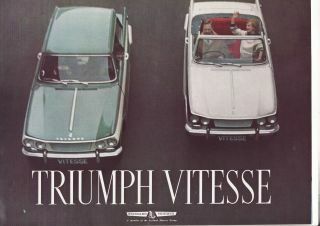 To the right is ads for Vitesse parts and accessories. Now and then varios articles come into my hands. 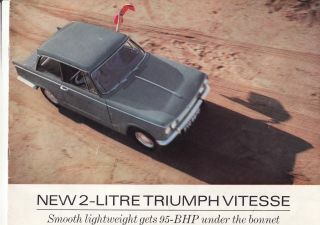 This will be article not only connected to Vitesse - but may be regarded as some curiosity notes within automobile history.